A new season means a new wardrobe right? Or maybe not. 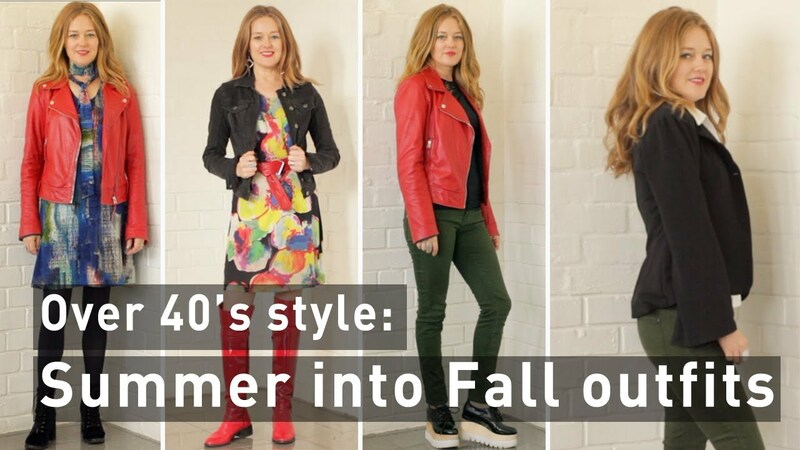 In this video I am going to show you how you can transition your favorite summer outfits into fall outfits, making your wardrobe more versatile. 1. Take a look at your summer wardrobe. I mean really look. What have you been wearing this season and what you not worn for a while. Maybe it’s a good time to de-clutter and simplify your wardrobe. Give away all the things you haven’t worn for the last year. Simplifying your wardrobe makes its easier to creating a versatile wardrobe. 2. What are your go to pieces? What are those pieces in your wardrobe that you absolutely love that you can barely stop wearing because you feel so fabulous in them? 3. Can you transition these summer items into fall outfits? Your favorite summer dress could be worn with tights, boots and a jacket or your most worn summer top layered with a long sleeve top and jeans. 4. Make a list of items you might need to help you transition your summer clothes for fall. You may need a long pair of boots to wear with your dresses or a leather jacket that will give your look warmth. Making a list will keep you focused on what you are looking for and staying focused will save you money and keep you from buying things you don’t need. Tracy shows you a few practical example of how this works.